This is one of our newest combinations we have developed. It is made from a combination of Palladium, Platinum and Red Gold. It has a subtlety with three metal colourings. Ladies wedding rings in this combination can start from £1,205, Gents wedding rings in this combination can start from £1,725. 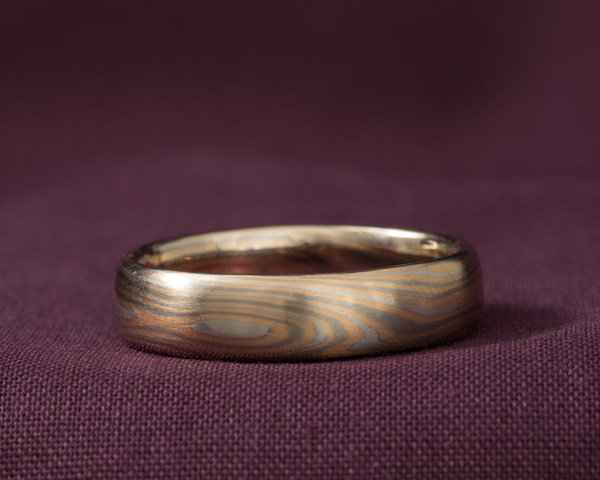 We can only make a limited number of these special Wedding Rings. Please call or email ahead to book an appointment.